十 年 书 剑 长 吁，I sigh after ten years with books and sword. 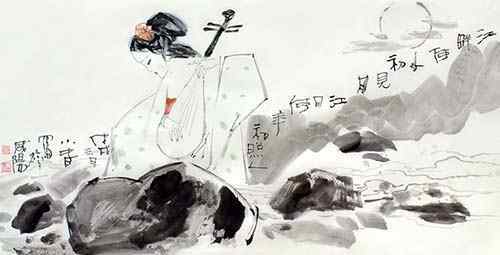 一 曲 琵 琶 暗 许。The lutist's song is a promise without word. 愁 听 兰 舟 夜 雨。Afrai d to hear rain in orchid boat at night.